RIBA’s housing lead has dubbed the ability of new housing developments that feature communal space and very small living units to skirt planning rules a “scandal”. Julia Park, who is interim chair of the institute’s housing group, told a London Assembly Housing Committee session on space standards that it was “bonkers” that some housing types did not need to conform to the same accessibility and space standards as other buildings such as prisons. The discussion was called to investigate whether the capital’s space standards, now adopted nationally, were a brake on the delivery of new homes and whether smaller homes would be cheaper to develop. Park saved her strongest concerns for the growth of student-housing style micro homes. “They’re a specific part of the private rental sector, and they’re smaller – below the space standards typically,” she said. Park told assembly members that the lack of a specific category for micro homes set them apart from the likes of prisons, detention centres, army barracks, hostels, care homes and hotels, and allowed them to bypass standards on space and accessibility. 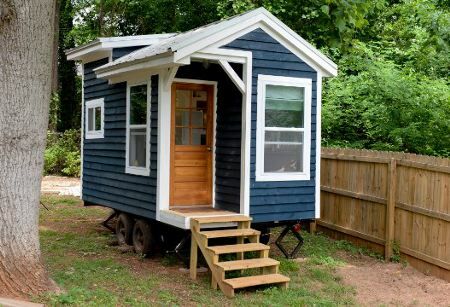 “Micro homes, for some bizarre reason, just get pushed through on the premise of being student housing, or something that for historic reasons has never been recognised as residential,” she said. Park also told the session that the capital’s housing crisis was putting a general “downward pressure” on the space that could be afforded for new housing development. “It’s getting harder and harder to fit in the bikes, the bins, the lifts, the service risers, the outdoor space and the play areas,” she said. Park said a lot of time and effort had gone into the current space standards, which have been in place in London since 2010, but were rolled out across the UK in 2015. “All that’s changed [since 2010] is that we’ve failed to build anywhere near as many homes as we need, so the pressure on housing has increased,” she said. Toby Lloyd, policy director at housing charity Shelter, said market pressures – particularly in relation to land values – would immediately absorb any savings from the development of smaller homes. “People assume that if you make homes smaller it will make them cheaper, but it doesn’t,” he said. Lloyd said the suggestion that space standards could be re-examined every five years or wriggled out of in emergencies sent a “disastrous signal” to the market. Unfortunately, whilst RIBA have a valid point, its simply a proxy. The real issue is development supply, either or both, via public or private sector. Scarcity drives local demand, location is comparison and preference driven, preference is politically driven – we elect proxies on our behalf, who succumb to crazy political illogisms , money makers, displaying a chilling spinelessness not to do something to unlock the situation – fear of change haunts those who have the most to lose, not win. RIBA would do well escalating its policy, withdrawing from being a protectionist preferential institute, and in street parlance ‘grow some’ to support its members, code of ethics and conduct. How many times has they moaning about space disenchanted, branded, and distanced architects need in the last ten years – get a life, or better get a real home RIBA. Is apartment building viable in Dublin in 2016? This entry was posted in Building Regulations on January 17, 2017 by BRegs Admin.